Download Your Free Bill Payment Organizer! 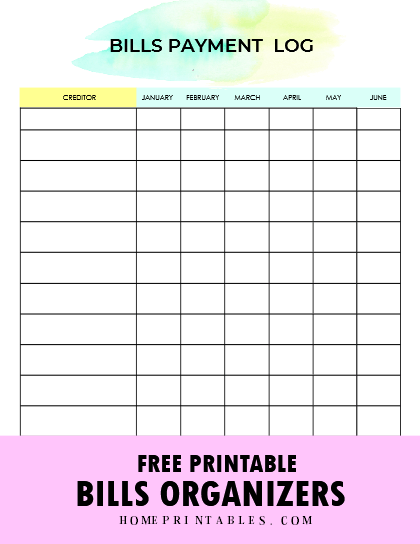 Sort your monthly bills with this free printable bill payment organizer! Today’s freebie will help you manage those bills and payments and will even help you pay down you debts. Ready to organize your finances? Friends! If you’re looking for a way to organize your monthly payments, we have a happy news for you. We know how hard tracking your bills can be so we came up with a nifty organizer where you can log all your payables at once. While there are some money apps available online that you can use to manage your expenses, if you’re just like us who need to get things sorted out in a binder to use, you will need what we have for you! 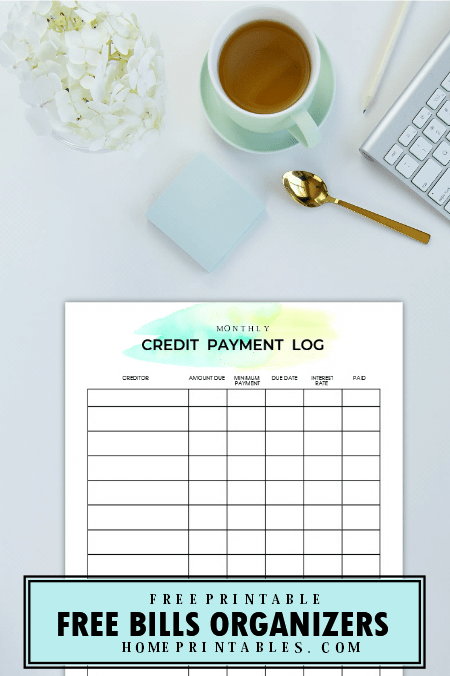 This free monthly and yearly bill payment organizer will help you keep track of any bills while making sure that your credit cards are paid. 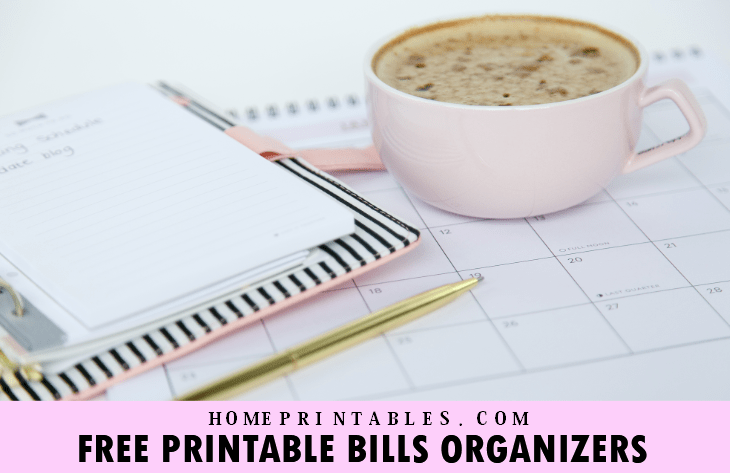 This bill organizer will even help you make sure that you have a growing savings and investment by helping you track everything and hopefully, by encouraging you to find more ways to earn! Let us show you what we’ve got. Please enjoy this quick free bill payment organizer tour! In need of a sheet where you can see all your payables at once? This very page your bill payment binder got your covered. With this, you can write all your bills, the amount to be paid, the payment due date, your balance and even tick the payment status! Write all your payables in the first column. This is pretty much like a “brain dump” of all your payables. Next to the bill/ creditor, write the amount that you need to settle. After identifying the amount to be paid, write down the due date per category or bill. The, write the balance that needs to be settled. Finally, pay down your credit and write the amount paid or simply tick it out. Do you have monthly recurring bills? Organize them at once in this next page! 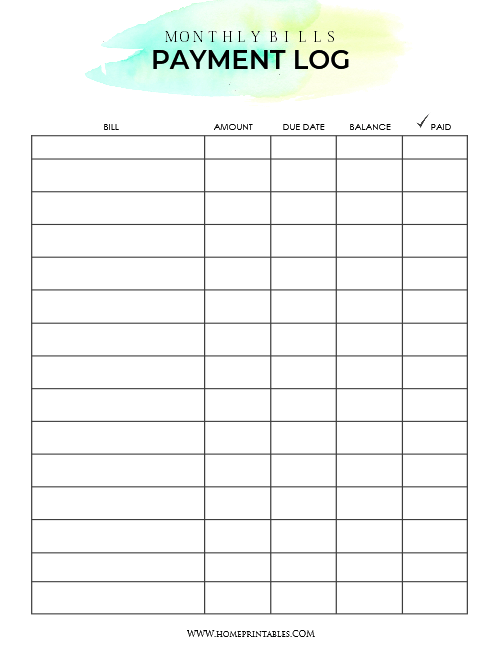 This yearly bill payment organizer will let you write down the bills that need to be settled on a monthly basis. Struggling to pay down your credit cards or other loans? Make a plan of action on how you can crush them! Outsmart your credit by knowing what you should zero out first (the one with the highest interest rate, of course!) until you are able to paydown everything. The key to achieve this is rather simple: Live below your means (yup, not even within!) and pay more each month. It can be tough initially but you’ll get used to it. Soon you’ll see your credit all paid up! That would be the greatest feeling of all, isn’t it? Go towards that direction by starting now! We didn’t forget to include pretty covers, of course! You will have two cover options for your bill payment organizer, friends! The once shown below is the turquoise edition while the other one comes in sunny yellow. Print the cover design of your choice! 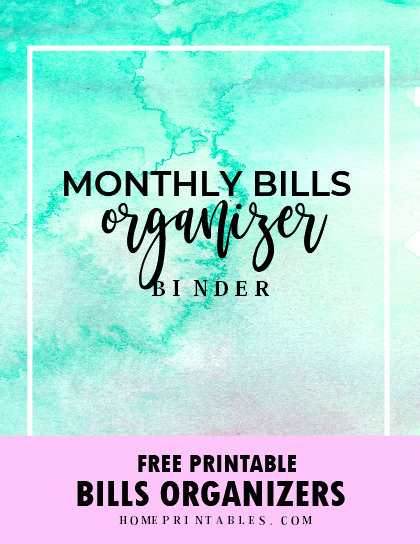 Get Your Free Bills Organizer! Snag a copy of the binder HERE. We will send the file straight to your inbox right away! Print the files in US standard Letter size paper. File the pages together in a binder! Keep track of your finances and enjoy the planner! Pin this Post in Pinterest! Loving this free bill payment organizer? Hep us spread the freebie by pinning it away! Thank you! Have a great day! Wishing you happiness and financial success! Hi, Sarah! To receive the free planner, you will have to sign up again. But now worries, no multiple emails will be sent to you. Cheers!